Way back in 2011, I was being all proper on my now-shuttered blog, The Year of Writing Dangerously, when I got wind of a firestorm, a brouhaha, an imbroglio even, going on in the blogosphere about something called the YA Mafia. You can get a good history lesson about the fracas here. Seems as if there was the suspected "in-crowd" who ate virtual sushi and quaffed virtual mimosas together--and then there was everyone else. Well, hey, I thought. 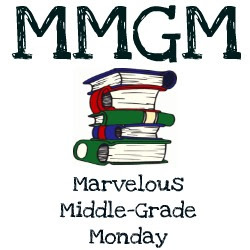 Just because middle grade was seen as the younger (less desirable?) sister of YA, didn't mean we couldn't have a mafia too. Or so it went, through my brain. Which doesn't always deign to show up, I can tell you. So I called dibs on the blog name. And whadda ya know, it popped up in my profile. And now I even have associates followers. Here's hoping you'll join me too!